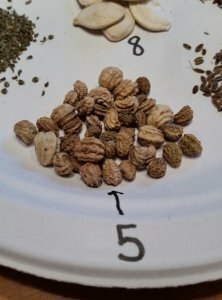 Seed Saving and a Giveaway. 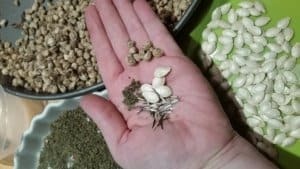 Since I am in need of some fun and inspiration I figured you may like to be inspired to dream with a Seed Saving Giveaway! Despite what that ridiculous groundhog says I am ready for less snow and more sunshine! 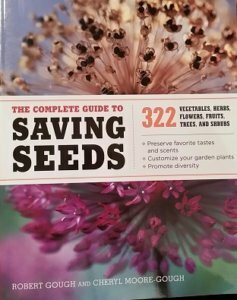 With Spring coming its time to dream about the garden and what we are going to plant. Honestly, gardens can be a lot of work, especially when you neglect fall clean up and then fracture an ankle! Our Spring cleanup this year is daunting with a mending foot so I had to set a plan for inspiration. 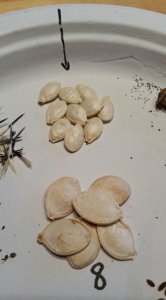 I saved seeds for the first time this year. (I can’t tell you what seeds because that would ruin the contest.) However, two of these are my favorite flowers for natural garden pest control. I plant them everywhere in the garden. One took care of my aphids this last year! YA! Along with the natural pest benefits they add fun colors to the green. Two winners of the contest will receive a packet of seeds for each of these flowers plus two seed packets of my favorite garden dwellers. 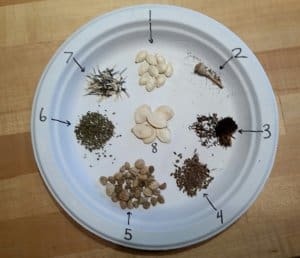 All seeds were collected by us and once you grow your own you will have no reason to buy them ever again if you collect the seeds they produce. 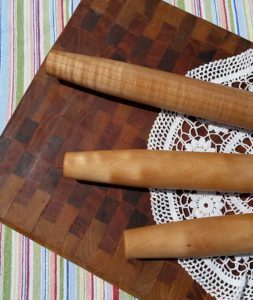 It is a fabulous resource that has many plants included (vegetables, fruits and flowers). 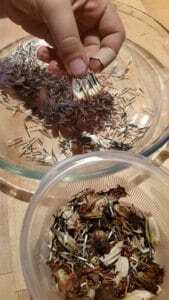 It has information on seed collection, seed cleaning, germination, and transplanting. Wait for the plant or flower to reach maturity. (that means the flower dies to become a seedpod). Most plants will easily release their seeds once ready. After all that is why a plant makes seeds. 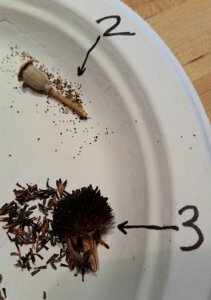 And one seed head or plant can produce, at the least, several dozen seeds. Yes, this is over simplified but is really the basics of what you do. Truly, try it out. Start simple with flowers or with some squash. What do you have to loose? 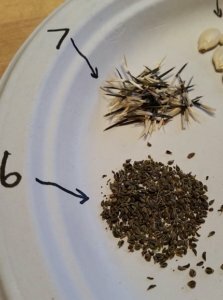 I gathered enough seeds to be generous in my garden this year and I have plenty to share. I love my garden. This however is a new love. I really didn’t start gardening until about 4 years ago. A couple people have asked why I do all that work? I LOVE having a years worth of green beans in my freezer each year. I love a tomato or a sweet sugar snap pea right off the vine. I love seeing the delight on a child’s face when they pull out a carrot and find this beautiful treasure of food at the end! I love the beauty of things growing around me. At our house we call the garden “Mommy’s Happy Place”. The rules are 1) if you are in the garden you have to be nice and 2) you have to be willing to help. Needless to say the kids typically avoid the garden, mostly due to rule #2. However, my oldest girl has discovered she loves watching plants grow and loves harvesting food and seeds. The other kids just like to eat, she likes to just spend time in nature with Mom. 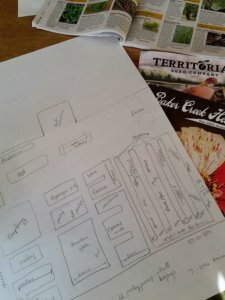 She worked with me this last week to develop the “battle plan” for the garden. If you thought you were just going to be able to click a button and enter….well, you don’t get off that easy 😉 What’s the fun in just clicking a button?! 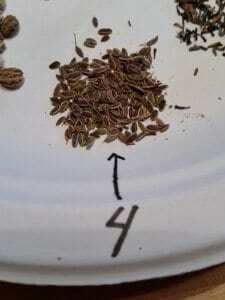 The TWO winners will receive four packets of seeds. Two of my favorite flowers for the garden and two of my other favorite vegetable garden dwellers. Have FUN! and Happy Garden Dreaming! The contest is closed but the answers are: 1) Zucchini 2)Poppy 3)Black Eyed Susan 4)Dill 5)Nasturtiums 6)Parsley 7)Marigolds 8) Pumpkin. Thank you for all who entered! I agree that gardening is a blessing to our families… the work and the produce are both blessings.